While preparing for Buzzwordathon, I went to my Goodreads TBR and searched for the word “lie”. I then searched my library’s database to see if they had the book, and that’s how I found The Marriage Lie. “Iris and Will’s marriage is as close to perfect as it can be: a large house in a nice Atlanta neighborhood, rewarding careers and the excitement of trying for their first baby. But on the morning Will leaves for a business trip to Orlando, Iris’s happy world comes to an abrupt halt. Another plane headed for Seattle has crashed into a field, killing everyone on board, and according to the airline, Will was one of the passengers on this plane. Do you ever really know someone completely? The Marriage Lie is a domestic suspense novel that takes place during spring in Atlanta. Iris, a psychologist, has been married to Will, a computer scientist, for seven years. A plane traveling to Seattle crashes, and authorities tell Iris that Will was on the plane, but she is confused because he said he was taking a flight to a conference in Orlando. Iris goes on a trip with her twin brother to find out more about her husband’s past. Quickly drawn into the story, I was crying by page 30, and couldn’t wait to see what was going to happen. Iris’s twin brother, Dave, is my favourite character. For the first half of the book Iris felt relatable, and tug at my heart-strings. The twist was predictable for me, and I felt bored for the last quarter of the book. 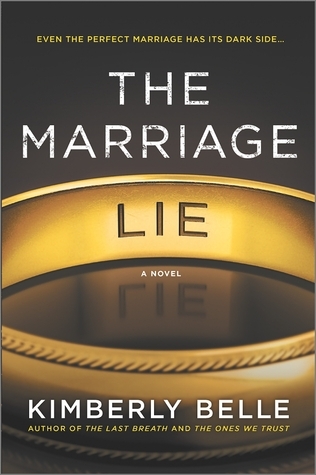 The Marriage Lie was just okay for me, however, it was a semifinalist in the 2017 Goodreads Choice Awards, so it may be great for other Mystery/Thriller fans.